Proving the value of UK manufacturing expertise in overseas emerging markets, IsoCool has completed its first major cooling system installation in the Gulf region – and immediately won another contract on the back of it. The Essex-based process cooling specialist provided a turnkey solution to Neproplast, a plastic extrusion company which is part of the IKK Group, the largest construction group in the Middle East. 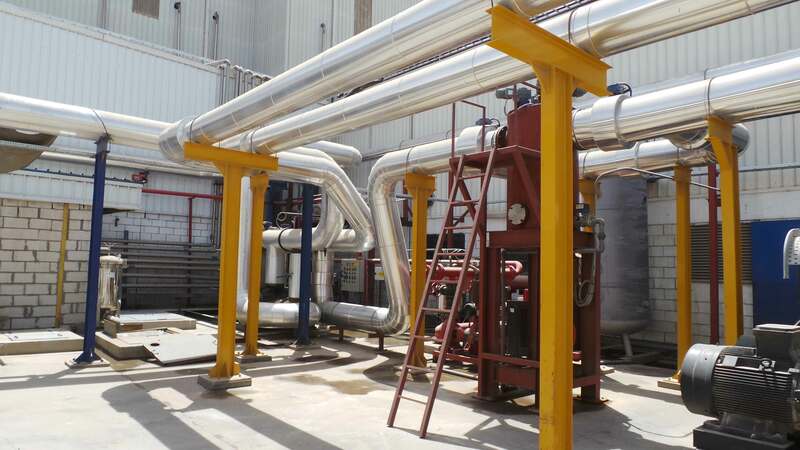 The project involved a complete upgrade of the existing extrusion and mixing process cooling system at Neproplast’s Jeddah plant, and used British and Italian manufactured equipment, as well as skilled labour from local engineers. Neproplast is the Gulf’s market leader in PVC plastic pipes and fittings. Yet despite this established position, the company has experienced rapid growth over the past few years and is forecast to increase its material mixing and pipe production output from 70,000 to over 100,000 tonnes by 2015. To future-proof the plant’s cooling system, which currently supports more than 31 extrusion lines, Peter Fox, Maintenance Manager at Neproplast consulted IsoCool. IsoCool’s solution included: five packaged air cooled water chillers (used in addition to the existing chiller plant to provide a combined future cooling capacity of 5MW); a bespoke water recirculationand filtration systemcomprising plate heat exchanger skid, chiller circulation pump skid,and process and hot water circulation pump skids (all manufactured by IsoCool in Essex), self-cleaning filtration systems, and a system control panel. An example of IsoCool’s progressive approach to the project can be seen in the chiller design. 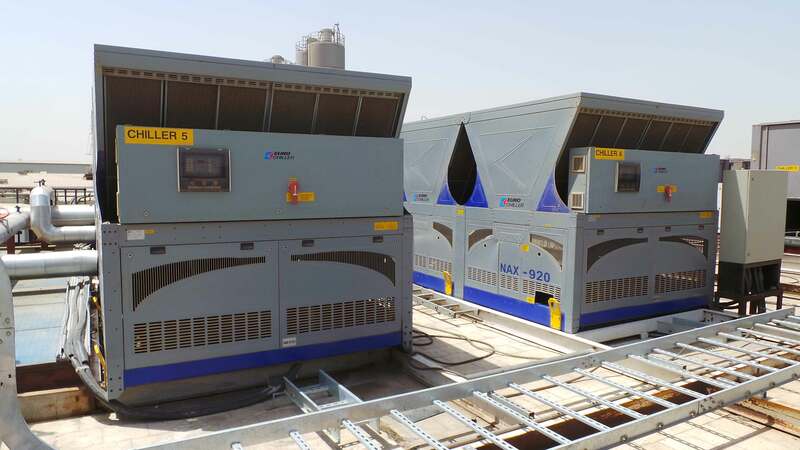 IsoCool specified that the five new Eurochiller NAX V-A-920 air cooled water chillers were built with fin coil protectionto counteract the corrosive effects of the coastal location, and tropicalized to maintain performance in ambient temperatures of up to 50oC. The cooling system components were shipped to Jeddah from Essex and Italy, arriving in time for a planned system shutdown period over Haj. The installation process went smoothly and involved close collaboration between local skilled workers and IsoCool. IsoCool will be contracted to perform full inspections of the cooling system periodically, however, this won’t be the only reason for IsoCool’s return to Jeddah – Neproplast has since awarded the process cooling specialist a second contract, due to commence in January 2014 for its additional new 60,000 sq. metre injection and extrusion plant. This project will involve IsoCool manufacturing a complete cooling plant system with cooling capacity of in excess of 8MW in Essex, which will be shipped to Jeddah by the end of 2013. The installation is due to be completed on site before the end of March 2014.